Your doctor may request a scan or X-ray to help find the cause of your problem or to check your response to treatment. Will I have to pay for my scan or X-ray? Some scans and X-rays are free and some are paid by you. Discuss this with your doctor. You will not have to pay for your scan or X-ray if you receive an appointment from the Canterbury DHB. Please discuss private referral options with your doctor if you have medical insurance or are able to pay. If your scan or X-ray relates to an accidental injury, ACC will pay part of the cost and you may have to pay the rest. If you have medical insurance, your share of the cost may be covered by your policy. Where will I get my scan or X-ray? If your appointment is arranged by the Canterbury DHB, your appointment letter will tell you where to go. For privately funded scans or X-rays, the private provider may offer a range of locations to get your test. How will I get an appointment? Your doctor will arrange your test and you should receive an appointment either by phone or letter. If you haven't heard in the timeframe given by your doctor, please call to ask how long it is going to be (see "What if I have a question about my scan or X-ray?"). Your appointment letter may tell you to call to confirm your appointment. Please do this by calling the number on your appointment letter. You risk losing your appointment if you don't confirm your appointment by the date indicated in your letter. What if I have a question about my scan or X-ray? If your test was ordered by your GP, contact your GP. If your test was ordered by a hospital doctor, call Canterbury DHB Radiology on (03) 364-0770. How do I get the results of my scan or X-ray? Call your GP. Your GP will get a copy of all test results, even if you were referred by a specialist. Refer to your appointment letter and call the number provided. If you lose your appointment, contact your GP. Please allow plenty of time to find a park. Your appointment letter will include specific information about parking. Also see Radiology Parking. If you have special needs such as mobility issues, hearing loss, or need an interpreter, please call the number on the appointment letter and let staff know in advance. Please let staff know when you arrive for your scan or X-ray. How should I prepare for my scan or X-ray? The instructions for any special preparation for your scan or X-ray will be included with your appointment letter. If you have any questions about this, please call the number on your appointment letter. 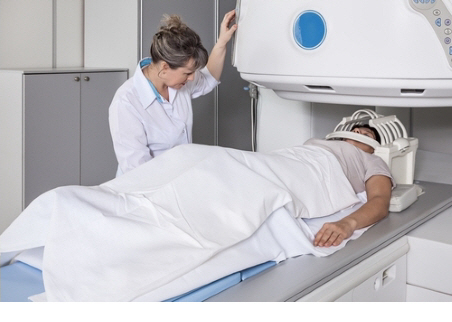 This page contains information about radiation and the risk of having scans and X-rays. Written by Radiology Department, Canterbury DHB. Adapted by HealthInfo clinical advisers. Last reviewed June 2016.